Mozilla and Panasonic have joined forces to take your living rooms by storm. Their new wave of smart TVs based on the Firefox operating system are now available in Europe. Mozilla announced on its blog this week that the first Panasonic VIERA Smart TVs powered by Firefox OS are now available in Europe. "With Firefox and Firefox OS powered devices, users can enjoy a custom and connected Web experience and take their favourite content (apps, videos, photos, websites) across devices without being locked into one proprietary ecosystem or brand," said Mozilla CTO Andreas Gal. Panasonic's is launching six models, including the CR850, CR730, CX800, CX750, CX700 and CX680. "Through our partnership with Mozilla and the openness and flexibility of Firefox OS, we have been able to create a more user friendly and customizable TV UI," said Panasonic's Masahiro Shinada. Panasonic revealed its 2015 4K TVs at CES 2015 earlier this year, along with the first 4K Blu-ray player. With Mozilla's help, Panasonic has crafted a custom user interface based on the Firefox operating system. In particular, it's been optimised for HTML5, which means it will provide a strong performance of Web apps and come with a customizable user interface which allows quick access to channels, apps, websites and content on other devices. 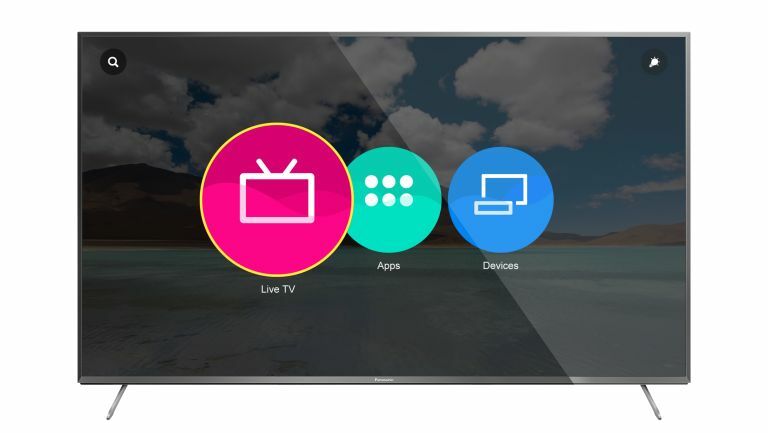 Panasonic's Firefox OS-powered smart TVs will battle it out with Sony's 2015 smart TVs, which are powered by Google's Android TV OS, as well as Samsung's new smart TVs which run Tizen. The Panasonic VIERA range should be available at most major electrical stores in Europe. The company says they should be available worldwide later in the year.